Ever since she was young, Jaylyn J. Montiague-Tan was already enchanted with cameras and photography. 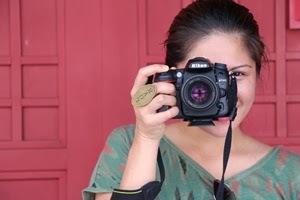 She bought a compact camera on her first salary as a health worker in Singapore. She enjoyed doing point and shoot everyday and when she discovered DSLR, she invested on it. Jaylyn started with Nikon D3100. She watched You Tube videos, read online articles and books about photography and brainstormed with all the terminologies of Photography 101. "Taking photos in manual mode is challenging yet the satisfaction is there when you do it correctly. Realizing that photography requires a critical thinking & artistry in different techniques." To enhance her knowledge & skills, she attended a workshop of one of the best artist in the Philippines, Mr. Jim Paredes for Basic Photography Workshop, that was held in Singapore. She also learned from her other friends who are already professional photographers in different fields. "On my free day, I will just go out & take photos wherever I go. And this coming April 2014, I will be attending the workshop of the world-renowned photographer, Mr. Manny Librodo." Currently, Jaylyn do Engagement/Pre-nup photo-shoots, and some other events. She love to travel & take photos to capture the amazing beauty of the places she visited: people, lifestyle, & culture. "I enjoy exploring the wonders behind my lenses & how it freezes every captured stories and moments that will last forever." "I love being with my camera. I love how it allows my imagination & creativity works in every frame of it. This is my passion aside from being a professional Nurse. Humbly, I am a Photographer by Heart."